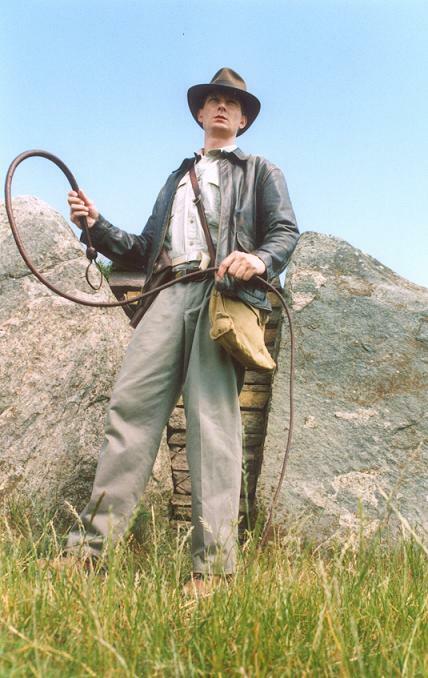 The Indiana Jones pants are made of wool. They have these hard-to find flaped backpockets. They where originally cutommade for the movie, but You can find a great alternative at the great american postorder-compagny, L.L. Bean. 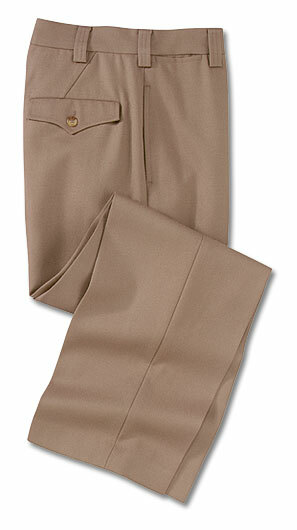 If this link doen´t work seach for "Dress Chinos - natural fit". The most acurate colour is "Taupe". They are in a great quality and the price are quite reasonable too. But if You are living in Europe, mind the custom!!! Only thing that is a "turndown" is that they all got a fixed crease - so it will take a lot of wear to make them look really good (Indy-like). 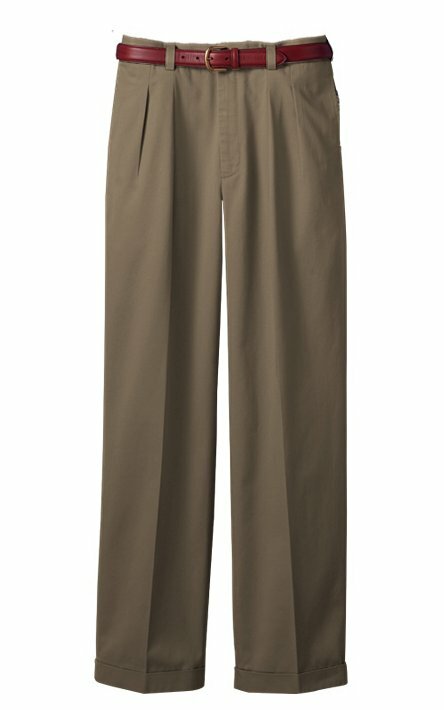 However these screenshoots shows the pants as more browinsh. Light and angels has a great impact on color (ex. my fedora looks rather grey in the "Fedora-section", but it is actually dark brown). 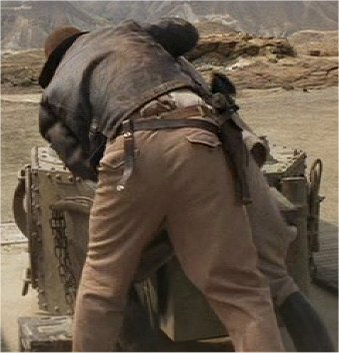 From Raiders (left) and LC (right) - no doubt that these are same style of pants. You can read more about them HERE , but they are very close to the originals. However Wested has just opened for sale of the Indy-pants too. More info comming up!